Following the planting of trees in 1999 along the line of the Greenwich Meridian where is passes through Orwell, MOPS (the Millennium in Orwell Publicity and Steering Committee) proposed the creation of a permanent marker where the line crosses Malton Road. 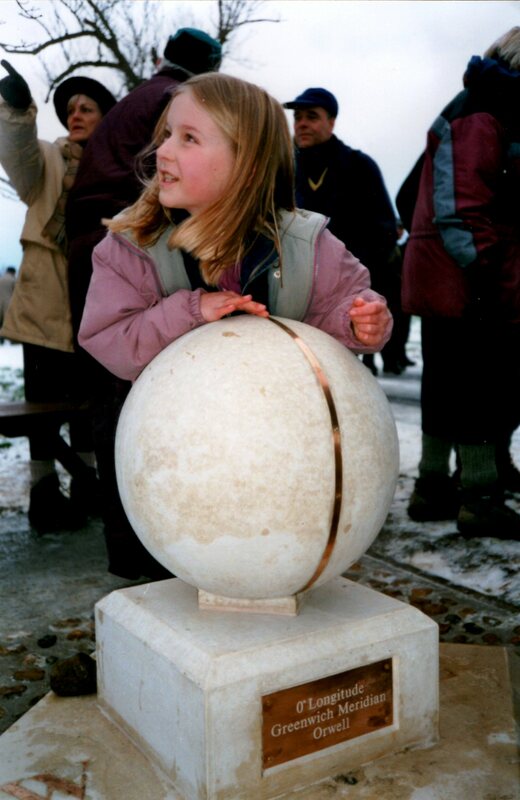 MOPS designed a simple stone globe on a square base and local builders Mills & Douglas cast the components, with bronze fittings engineered by Orwell resident John Reid and by Algar Signcraft to represent the Meridian line and the points of the compass. 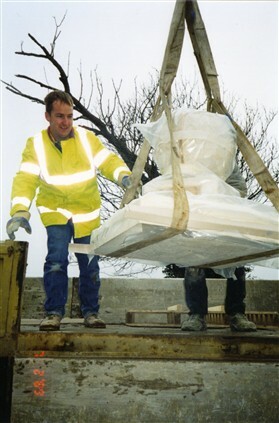 Mills & Douglas prepared a concrete foundation, on which Sue Miller (of MOPS) laid field stones to give a cobbled surface, and the marker was installed in time for the unveiling ceremony as part of the final day of Orwell's Millennium celebrations. 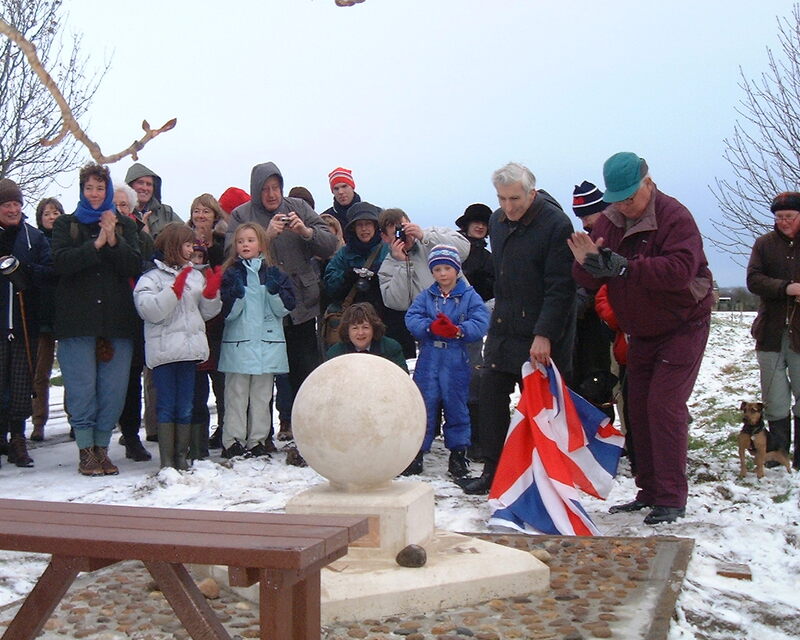 In spite of the icy weather a large crowd turned out on the afternoon of December 31st 2000 to see the Astronomer Royal, Sir Martin Rees, unveil the marker, after which tea and cakes were served in the village hall. Later, as darkness fell, everyone headed up to the Clunch Pit to enjoy mulled wine while the beacon was lit and a salvo of rockets signalled the end of a remarkable year in Orwell. This page was added by Sue Miller on 08/10/2012.